Inspired by the life and ideology of Mahatma Gandhi, Mahatma Mandir has been designed and constructed by the Gujarat government as a memorial and place of unity and development. 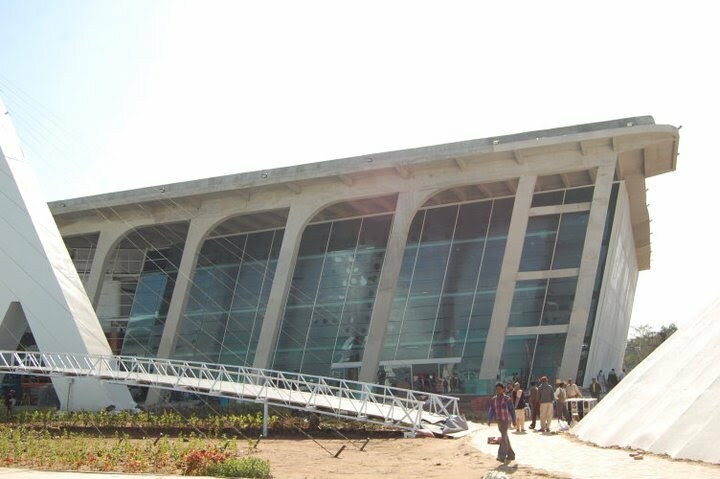 The building is one of the largest meeting and congress centres in India and can be found in Gandhinagar, Gujarat. There are small rooms and large congress halls for national and international meetings, conferences and exhibitions. There are several international events a year in the big congress hall, which has been designed for 5,000 people. For these types of events interpretation technology, with several audio channels for the transmission of foreign languages, is required. The requested system should also have a very wide range, as the international participants can sit anywhere throughout the hall. Pyramid Technologies, the beyerdynamic Partner in India, solved this with the SIS Simultaneous Interpretation System from beyerdynamic. Seven SIS 1202 double consoles can be found in separate booths on the balcony in the rear part of the hall. Often two interpreters take turns at one double console. The seven foreign languages are simultaneously transmitted to the digital IRIS Infrared Transmission System. The system is compliant to the international IEC 61603-7 standard for infrared audio transmission of simultaneous interpretation systems. A case with 40 compartments provides optimal charging and storage of the Iris receivers. The Iris EF infrared high performance radiators are installed on the ceiling to ensure optimum reception quality in the whole hall. 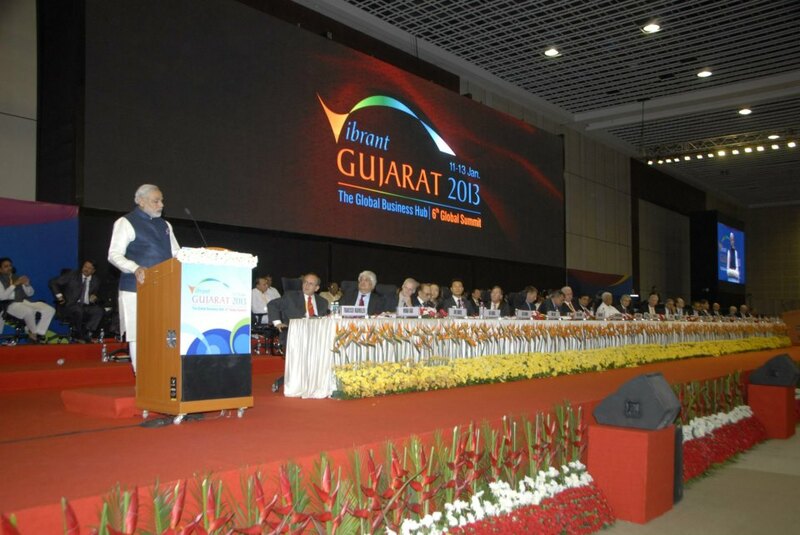 Vibrant Gujarat, also known as “Global Business Hub” is one of the biggest annual events. This year the interpretation and infrared transmission systems were used for the first time. It was a complete success. The meeting rooms have been equipped with the wireless MCW-D 50 conference system from beyerdynamic. The system can easily be set up and removed. The CC 13 case is ideal for charging, storage and transport of the microphone units.